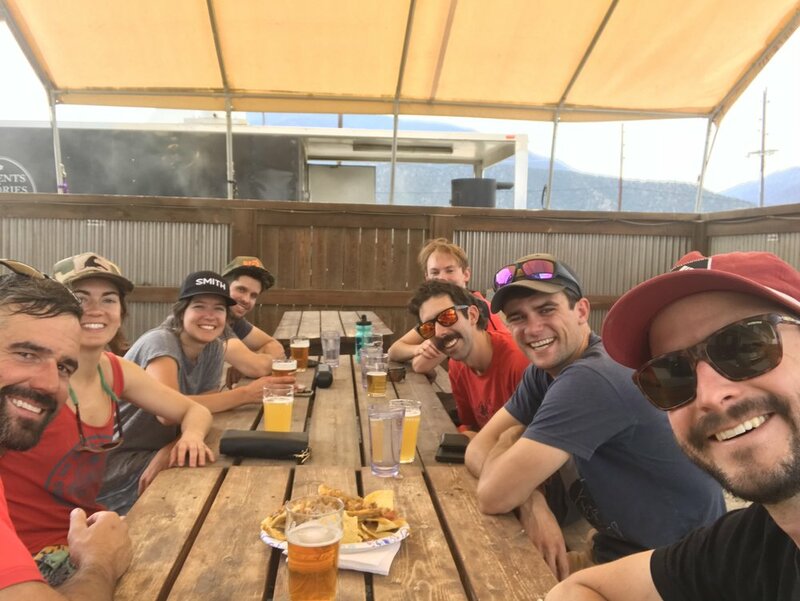 Surf and Turf: Summer Offsite 2018 — FastG8 Inc.
As the newest member of the FastG8 team, I was excited to attend our summer offsite in Buena Vista, CO to camp and enjoy some of Colorado’s classic recreation. Building a team that can support one another out of the office is a crucial part of having a successful organization. During my first month and a half at FastG8 I have seen this reflected in the group’s daily work. The first agenda item for the trip was a surf day on the Arkansas River, an activity that was foreign to most of the group. Towns across Colorado are building artificial waves in their rivers which attract kayakers and, more recently, surfers who live in the mountains and need their ocean fix. In FastG8 fashion, we jumped feet first into the water with our boards and no hesitation. We worked meticulously on our surfing skills, tweaking our form with each attempt. James focusing hard on standing up on his board after catching the wave. Peter’s technique was to jump in the wave and land on his board feet first. He was often successful. Fletcher is all smiles after taking his kayak for a spin on the wave. After fighting the current and flailing around for hours, we were exhausted and wound down at camp to tune up our bikes and grab a few beers. The next morning we had an early wake up call in order to catch a shuttle. We loaded into the shuttle vans and headed up a road to mountain bike the Monarch Crest Trail. This classic ride consists of 36 miles of epic Colorado singletrack where you start high, bike even higher and end up back in the town of Poncha Springs. The team looking good in our matching kits and taking in the views on the Monarch Crest Trail. The first couple hours of the ride we started by cycling up 2,000 feet where we were rewarded with 360 degrees of views across the state. Like clockwork, we all fell into our places, organizing ourselves in the most efficient order and rooting on one another up the mountain. Once we crested the top of the trail, the fun really began. We cruised through flowy high alpine single track down to rocky terrain, hooting and hollering the entire way down. Celebration beers and nachos at the end of the ride!